Ron and Maggie Tear Photography: Snack attack ! Gatorland is an Alligator farm with wilderness attached. It is a fascinating location for wild birds and reptiles. Alligators are everywhere in pens and in the wild to. I once found a Pygmy Rattlesnake and Water Moccasins prevail in the swamp. Well worth a visit from Orlando. 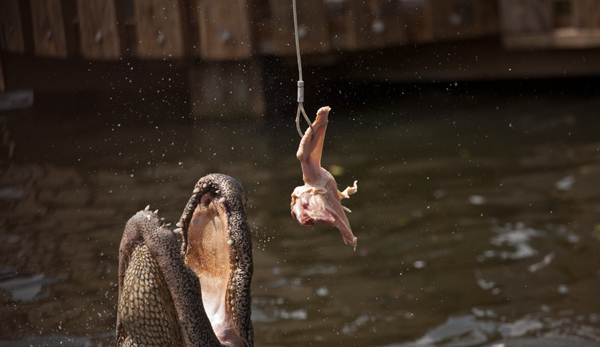 This was taken during show time when the Alligators are fed chickens. Trying to capture behaviour that is seldom seen, an indicment of entertainment ?